A truly representative government requires actively engaged citizens. 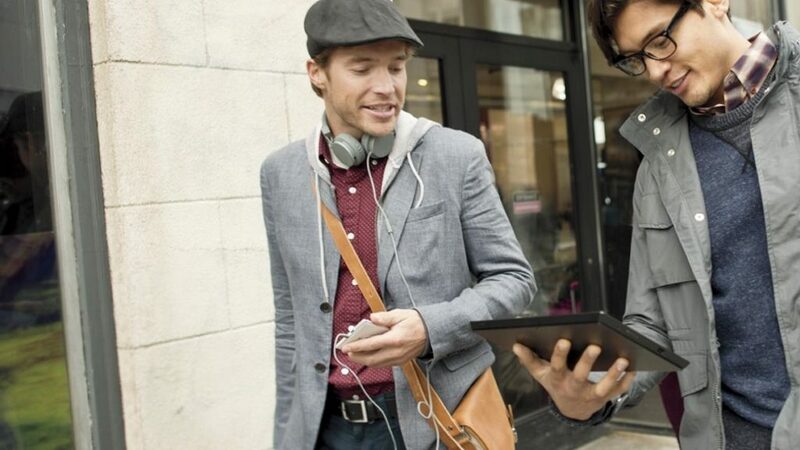 In today’s digitally connected world, governments need to leverage modern technology to engage citizens, make them feel heard, and meet their needs. Mobile, social, and web-based platforms empower citizens to be more involved in their communities, giving governments a foundation for building citizen trust and participation. Legacy technology systems and tight budgets prevent many governments from keeping up. But the reality is that citizens expect no less than what they receive from private sector firms: 74% of customers use 3 or more channels to access customer services, and 89% of customers get frustrated because they need to repeat their issues to multiple representatives. Fortunately, with the right tools, governments can not only engage the public in convenient user-friendly ways, they can considerably reduce costs as well. 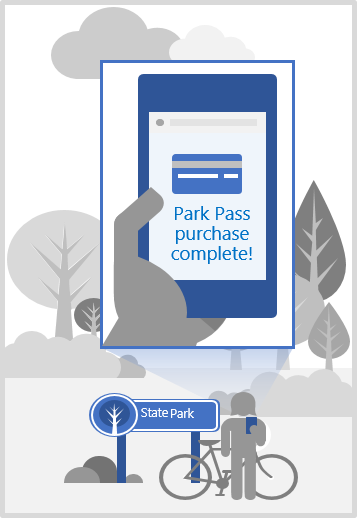 In previous blogs, we’ve met Jane, our imaginary citizen who visits a state park with her newly purchased park pass. Jane’s forward-thinking government gives her the option to connect anytime, anywhere, on multiple channels. Let’s take a look at how innovative government services work for her and for real citizens around the world. Jane is lucky; her state government has a community portal where she can purchase her park pass online and access up-to-date information about park hours, costs, and trails. On the portal, she can also browse discussion boards full of tips from park visitors and rangers. Finding everything she needs without assistance, Jane saves herself and service personnel time, ultimately helping reduce government expenses. Improving digital engagement is already helping local governments around the world deliver high-quality service with fewer resources. The London Boroughs of Newham and Havering share an online community portal that encourages citizens to conduct transactions and request service online rather than at council offices. Shifting citizens to digital channels has cut waiting times, lowered duplicative requests by a factor of 100, and reduced costs by 97%. When Jane discovers a giant mess at her campsite, she can easily submit a request for clean-up on the channel of her choice—whether that’s pulling up the portal on her mobile phone, sending an email, or posting on social media. If Jane is discussing her issue with a chatbot, the government’s system can use digital image recognition to instantly identify the issue and trigger appropriate action. Making engagement easy for the public ensures that problems get reported and resolved faster. For example, the city of Grand Rapids spurred faster and more customer-friendly service by replacing its department-specific customer service processes with a centralized service center known as Grand Rapids 311. Instead of shuffling among multiple departments and having to repeat the same information several times, citizens now have a single point of contact for non-emergency services, which they can access in person, online, or by phone. Now, 85% of questions are answered with a single call, and the average speed to answer a question has fallen from 6 minutes to 22 seconds. The efficiency and reliability of the new system saved the city over $1 million in the first 18 months. 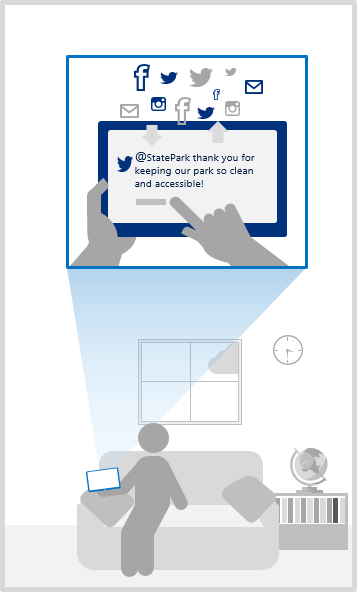 From the time the parks department receives Jane’s request until it is resolved, she tracks the progress of the clean-up online and receives automatic updates via text and email. Plus, if she wants to add supplementary information to her request, using a different channel than her initial ask, agents will still have a single view of her case history. Once the park has been cleaned up, Jane receives a short satisfaction survey and an invitation to participate in a portal forum about installing smart sensors on park waste bins. She shares feedback about her experience on the portal and on social media, which the parks department can use to refine their internal processes, improve their communication with citizens, and guide future projects. Efficient and citizen-centric service strengthens the relationship between government and its engaged citizens. Simplifying communication with citizens also gives governments valuable insights that they can use to improve operations and services on a large scale. 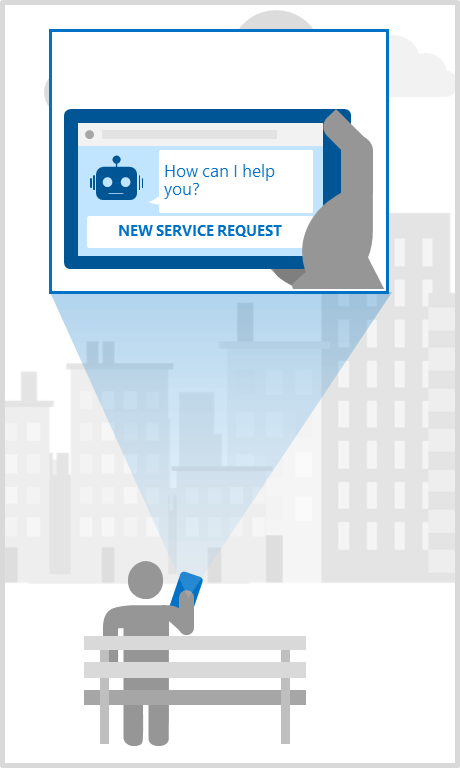 Microsoft Dynamics 365 helps your government agency build citizen trust with superior customer service, empower your employees to do more with fewer resources, and transform your operations. Built on the speed of cloud, Dynamics 365 gets up and running quickly and adjusts flexibly to changing needs.